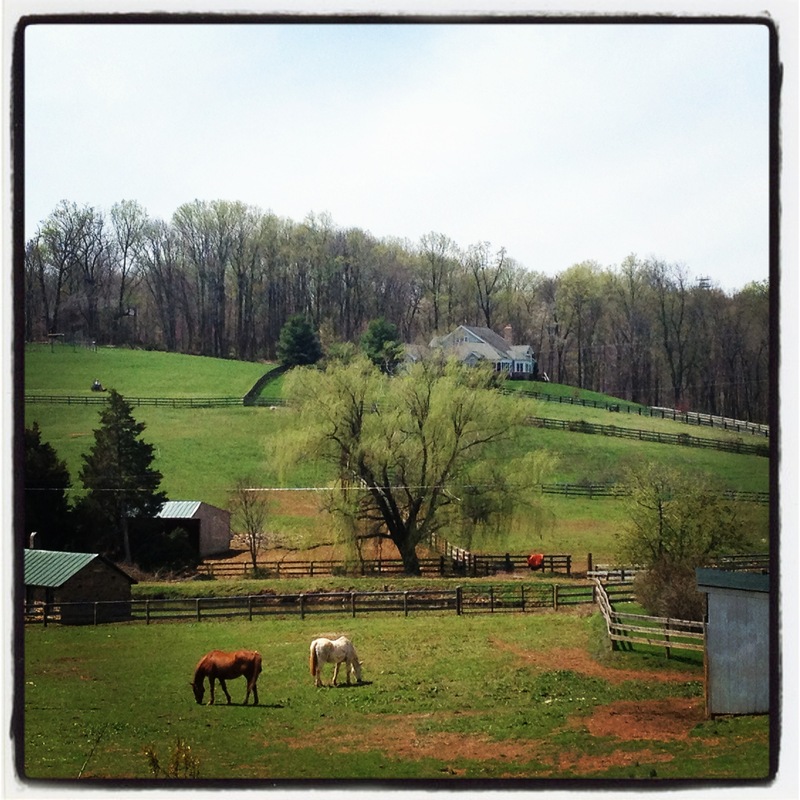 Small horse farm along the western portion of the WO&D Trail just outside Leesburg. 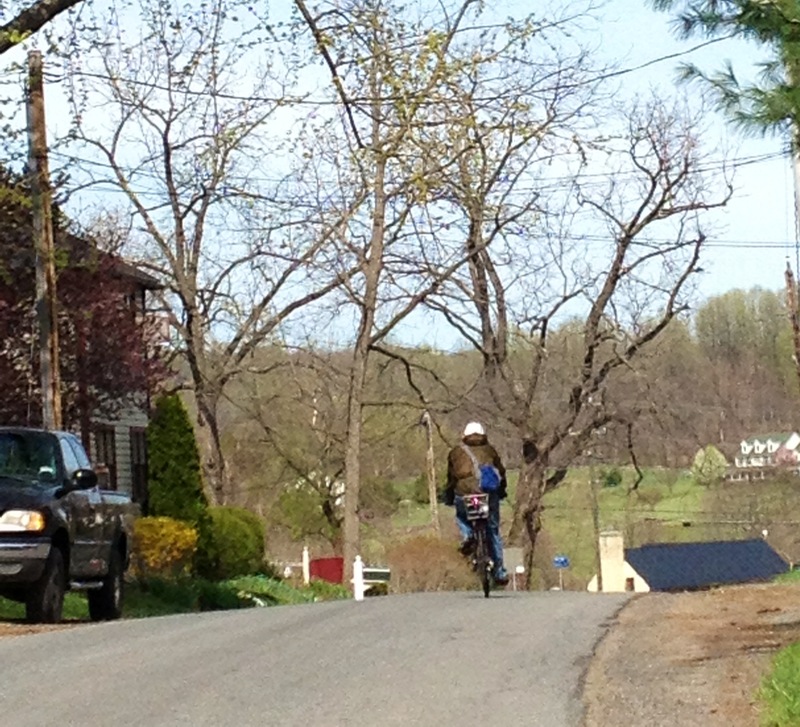 A few weeks ago, my dad and I biked the Leesburg to Purcellville portion of the WO&D Trail. There are fewer people than the eastern portion in Arlington and Fairfax and it’s mostly all bikes because access points are more spread out. 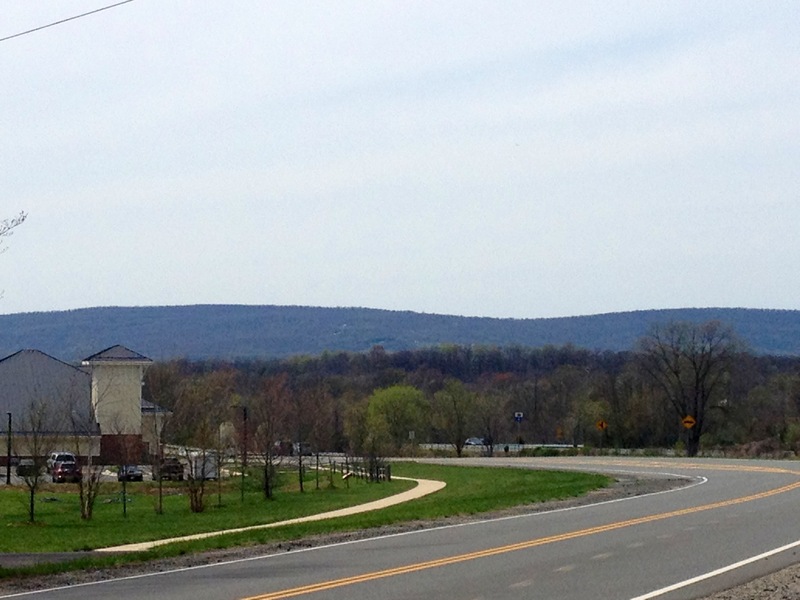 The first few miles of our trip through the town of Leesburg were mostly suburban. We passed some low-income housing followed by huge houses on large tracts of land. 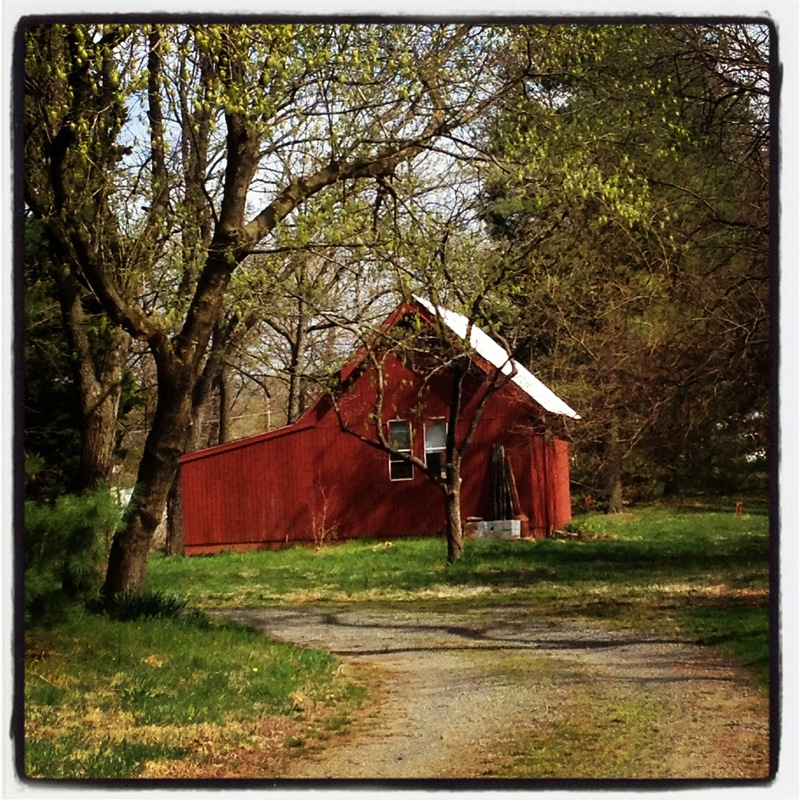 However, after we left the town of Leesburg and entered Loudoun County, the landscape became more rural and picturesque. 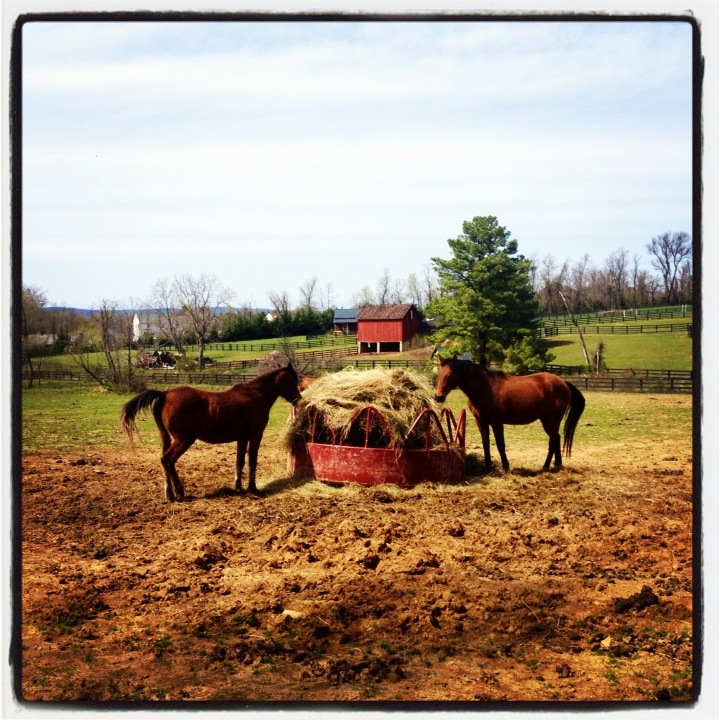 There were small horse farms, old barns and intermittent views of the Blue Ridge Mountains. Occasionally, the trail paralleled semi-busy highways, but for the most part, it was a lovely rural ride. When we got to Purcellville, we decided to eat at Jose’s Grill and Pub, which despite looking like a simple, all-American diner on the inside, is actually a Mexican inspired place, although it seems to be owned by Nicaraguans (we saw the Nicaraguan flag) and serves everything from Greek salads to Burgers. You wouldn’t think a place like this plays Paco de Lucia, but it does. I ordered the Greek salad, which wasn’t very good. In Jose’s Pub and Grill’s defense, this probably isn’t the type of place you order salad at. But I had already biked 12 miles…I couldn’t undo my cardiovascular efforts with a greasy burger and fries. The most memorable part of the bike ride for me was the town of Paeonian Springs, a tiny, barely significant place in western Loudon County right off Charlestown Pike. I suffer from small town nostalgia and this place was perfect. The town was founded in 1890 and despite all odds, and having a population of only 582, it still has a post office, so it’s still officially a town. With its restored Victorian houses, country cottages, gravel roads and open spaces, the place looks much as it did when it was a summer retreat for heat-weary city dwellers. Or at least I imagine it does. 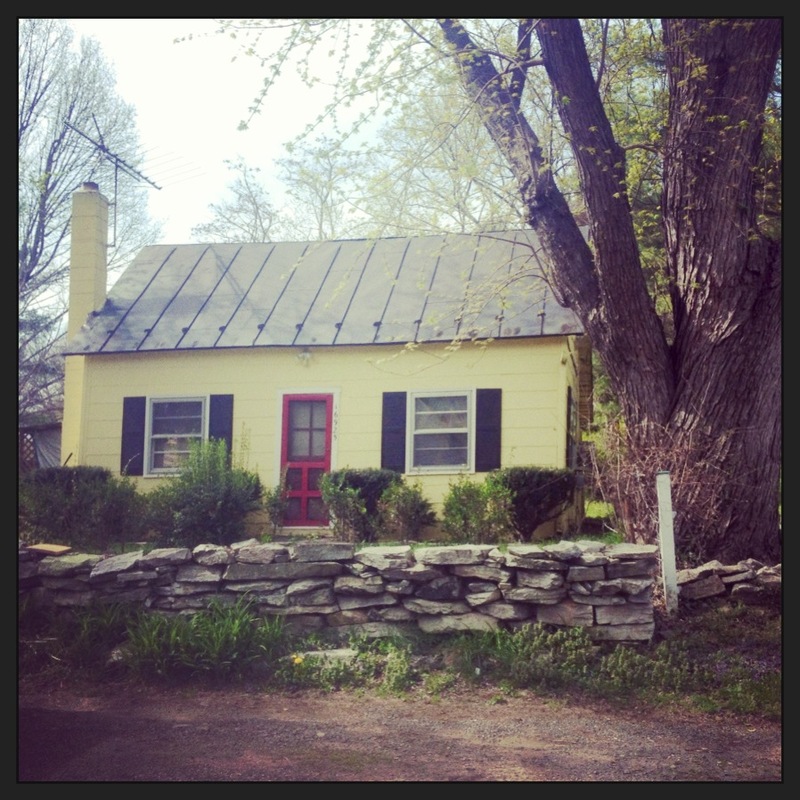 As I was riding through Paeonian Springs, I started wondering how it’s possible for me to feel a connection and fondness for a life that I never had. For as long as I can remember, I’ve had a love affair with small town America. I don’t mean current small town America because there’s not much of that left; I mean old-time small town America. It all started with Little House on the Prairie. Me, my sister and by childhood best friend Kim would spend hours sprawled on our family room couches bingeing on episode after episode of Little House on the Prairie. I wanted to live in a world that included a candy shop, a neighborhood tailor, an old-timey town doctor and a little ranch on the prairie. My small town nostalgia is kind of strange because my roots here in the U.S only go back as far as the late 70s and I’m pretty sure a Colombian family would not exactly have been welcomed with open arms in 1800s small town South Dakota, but oh well. I confess I have an idealized, romanticized and rose-colored view of small towns that lies squarely outside reality. Views of the Blue Ridge Mountains from the WO&D Trail. So why is it that when I see a quaint small town I’m filled with a sense of longing, happiness and creative possibility? If it started with Little House on the Prairie, it was cemented through books. I read like crazy as a kid and although I don’t remember the names of most of these books or even the characters, I do remember the places – and the places were usually these typical, All-American small towns or rural areas connected by dirt paths to main street. As a kid, this was the kind of world I wanted to inhabit. I didn’t take into consideration that small town life might be a little boring…I only remember that the characters in these books I loved seemed to spend countless hours discussing books with bespectacled, friendly old lady librarians, buying all kinds of knickknacks at the local general store and going fishing at the local creek with their best friend every day. Everyone belonged to the town and everyone had a place in the town, at least in my childhood way of seeing the world. Sometimes, the characters were ultimately too big for the town, but I loved the way these small places became characters not only in the book, but in my mind as well. So I think small towns for me are linked with creative possibility, with being a kid and imagining a world so different (and for my eight-year-old self) so much better than the one I had. When you’re a kid, you don’t think to be grateful for good school systems, 24 hour convenience stores, a nearby big city with cultural opportunities and a nice house that meets regulations and isn’t falling apart. 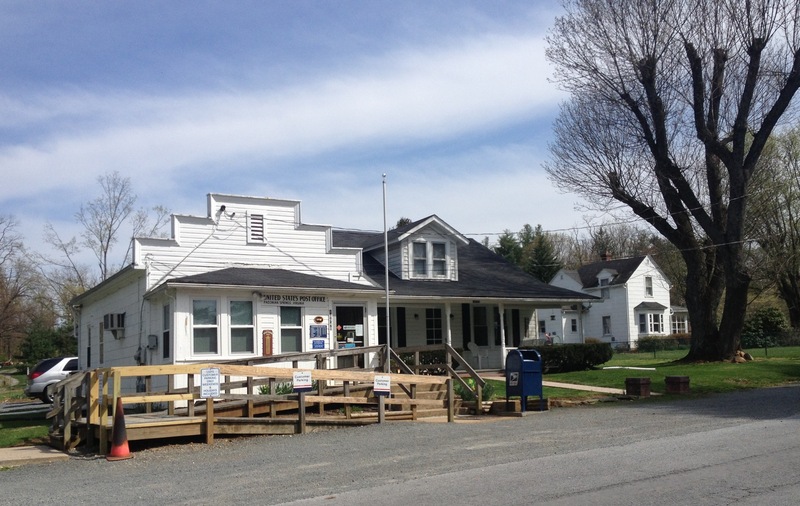 The Paeonian Springs Post Office. The story of Paeonian Springs is kind of the story of modernity making room for “bigger and better things.” Basically, Paeonian Springs’ claim to fame was mineral spring water, and it served as a resort town for D.C dwellers in the late 1800s. But then the Pure Food and Drug Act came along and it was a little harder for Paeonian Springs to continue making its fresh water claims. As beautiful as this spot is, and as many warm and fuzzy images as it conjures in my mind, we don’t really need places like this in the strictest sense. The suburbs have all but eradicated the need for small towns, with their strip malls, parks, nice houses, decent schools, 24-hour pharmacies, etc. What I want from small towns, or rather, the idea I like about them (just like the GOP, it seems), is that sense of belonging and community that you think of when you imagine a small town. I don’t know if this is reality. I can imagine real life small towns such as the ones I romanticized were riddled with gossip, outliers, people who couldn’t wait to get away, hierarchies, bullying – all kinds of things you find anywhere else, but it was a self-contained world. Self-contained worlds don’t really exist anymore and if you are looking for a sense of community and belonging, you’re going to have to look and work hard to find it. When you’re a grownup, it gets harder to find somewhere to belong. It’s easy in college. It’s easy with sports, school, structured after school activities ….but when you are older, especially if you are single and don’t have kids, it becomes more difficult to find this sense of belonging to something, of being part of something. You have to make all kinds of effort. You have to join things and be very persistent about staying in touch with people, or you may find yourself mindlessly scrolling through your Netflix queue on a Saturday evening. I think another reason I like small towns is because I am process-oriented, rather than product-oriented person. What this basically means is that I often find solace in inefficiency as long as the process is beautiful and intricate. Small towns are sort of that way…they are often picturesque, perfectly preserved, pleasant and really, completely unnecessary. But still, I’m glad they’re around so I can imagine a life I never had and will never have from time to time. Small red shed in Paoenian Springs.